Cos•mol•o•gy: The branch of philosophy dealing with the origin and general structure of the universe, with its parts, elements, and laws, and especially with such of its characteristics as space, time, causality, and freedom. All was born of a profound bursting forth of energy. That energy spread, growing, changing and becoming what we attempt to know today as “The Universe”. Some scientists have called that massive explosion of energy the Big Bang. I personally do not have a name for the explosion of existence into itself; however, it is my belief that everything in the Universe is part and parcel of the original energy that started it All and is it All, regardless of what it is called or exactly how it came to be (or even if it always was). Human beings, animals, plants, the God/desses, planets, stars, astral beings, spirits, etc. are a part of the All, each an interconnected, interdependent sliver of the Universe. I believe that the Universe is self-contained. This does not mean that it is in any way small, simple, or one-dimensional. By self-contained, I mean that it is whole unto itself. That being said, the Universe has its own myriad laws, rules, realities, and principles – a system. These things govern its functioning and point to its profound nature. As a self-contained but still complex and dynamic system, the parts of the Universe must function in complex and dynamic relation to one another. However, even to denote the facets of the Universe as “parts” is misleading because everything contains and is contained within everything else: macrocosm and microcosm, as a result of having our roots in one shared energy and as a result of being developmentally linked to one another. By developmentally linked, I mean that the energy that exploded forth expanded and changed form and function. 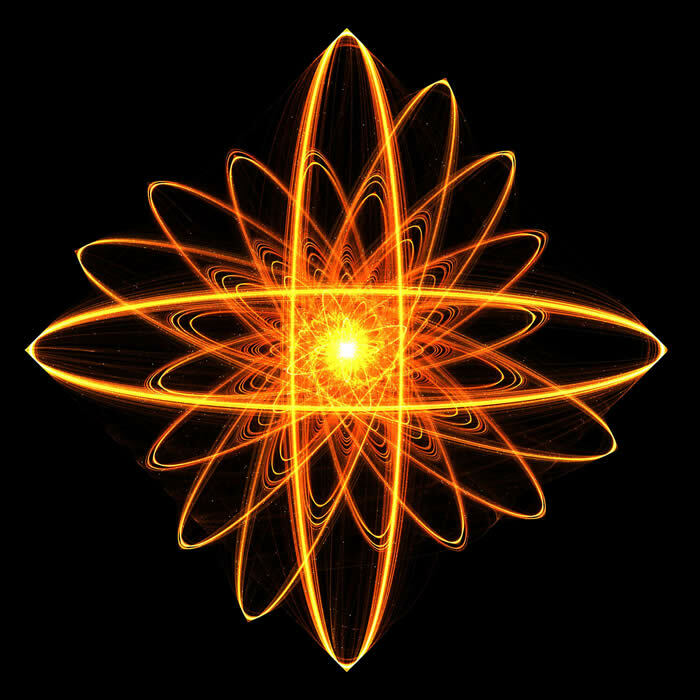 Everything in the Universe is a unique expression of the energetic matrices that preceded it. For example, life on this planet is a permutation of this planet which is a permutation of the dust, heat, and gases present in our solar system, and so on. In terms of nearness to and influence over the raw power present at the founding of the Universe, the God/desses are the closest to it and the farthest beyond it. In my belief, the God/desses are the initial energies of the Universe, the progenitors of consciousness and sentience, the first embodiment and expression of will and might expressed. Perhaps it was their energy, will, might that exploded the Universe into being, perhaps it was their will that always was and always will be, maybe called something else or understood a different way but the essence of the Universe nonetheless. Being both the makers of and made by the All, the God/desses are both immanent and transcendent, both a part of that original energy and beyond that energy, if such a thing is possible. They are the forces that order and empower the Universe, the raw forces that constitute the laws, rules, realities, and principles – the possibilities of the Universe. The possibilities of being and becoming are a part of their energy. The seed and sun of evolution. I do not believe that their will, raw energy, raw potential is independent of human energy , potential, and will or that of animals or other life forms or beings from “the Otherworlds” for that matter. No, these many wills or energies are interconnected no one can act without influencing the others. To my thinking, all of the deities, humans, planets, stars, Otherworldly beings, and non-corporeal spirits that inhabit and make up the Universe, when considered together, constitute the Divine. The Divine is the complex, dynamic, interconnected web of being that at once binds all of us and exists beyond any one of us – Mortal or God. Magic is the natural outgrowth of the ever moving, ever changing, ever growing, ever becoming energy that we all share and partake of. It is the energetic manifestation of our divine interconnection. On an individual level, Magic is the use of one’s true will to influence reality, to shape the becoming of the self, the world, and the Universe. Magic is every being’s birthright, a primal power that connects us and permits the manifestation of our will. It is the power at the heart of the mystery of being and becoming. Because Magic is a connecting force, through it we have access to deities, Otherworldly beings, spirit guides, the flaming stars, moons in distant galaxies, and so on. By means of magic, we can consciously join in and shape our selves and our world and the collective will by grasping and working the shimmering threads that weave the worlds together.